Satellites are now part of our imperative infrastructure to support our daily lives such as weather forecasts, disaster monitoring, mapping applications, and so on. However, as of 2017, almost 20,000 artificial objects are known to be traveling around the satellites at a high speed of several kilometers per second, and the number of such objects is increasing. These items are called “space debris” including used satellites and rockets and their fragments. Space debris poses serious threats of colliding with satellites and astronauts as well as crashing down to Earth. 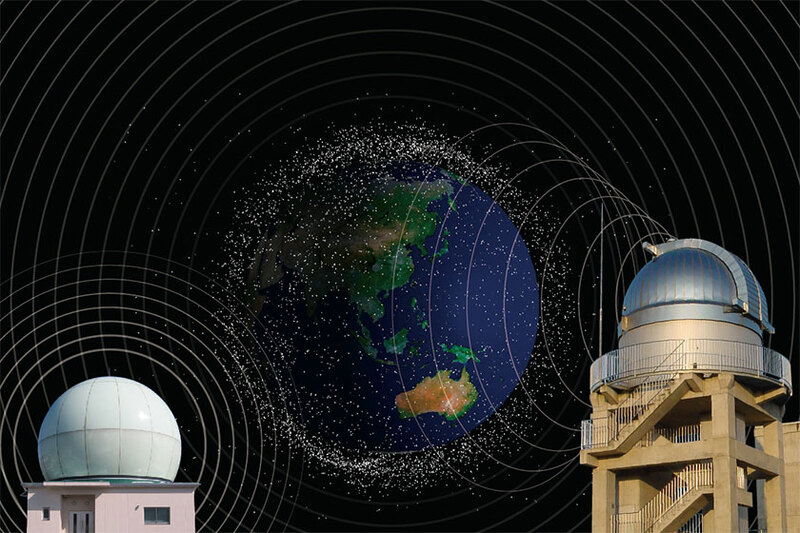 To protect satellites and astronauts from space debris, thoroughly understanding their orbits is essential. Space Situational Awareness (SSA) is a key for such understanding. JAXA performs 1) monitoring space debris, 2) database compilation of their orbits, 3) analysis of their approach to satellites, and 4) predestination of their re-entry to the atmosphere. In addition, JAXA will set up an optical telescope and radar and an analysis system for orbit information by Japan Fiscal Year 2022 based on the Basic Plan on Space Policy aimed at contributing to SSA activities. enhance the processing capacity (for automatic observation planning).